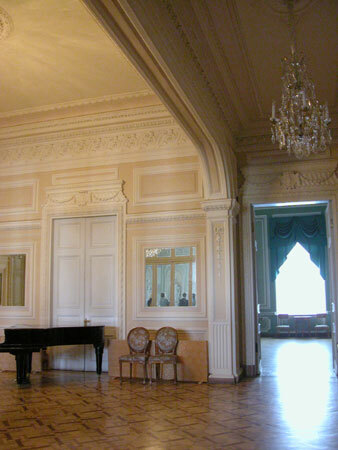 Next you will see four albums with the interiors of the Yusupov palace located at number 94 on Moyka. 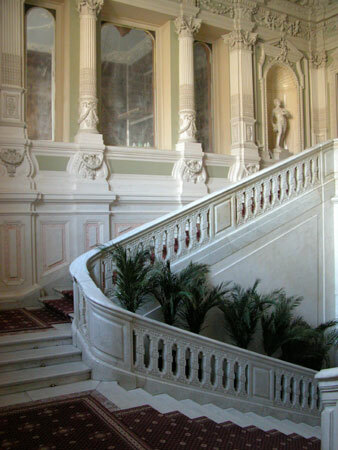 The palace was built in 1760's by Vallin-Delamothe, and rebuilt in 1830 - 1838 by A. L. Michailov (he added the wing with the Balcony hall and an enfilade of grand rooms). 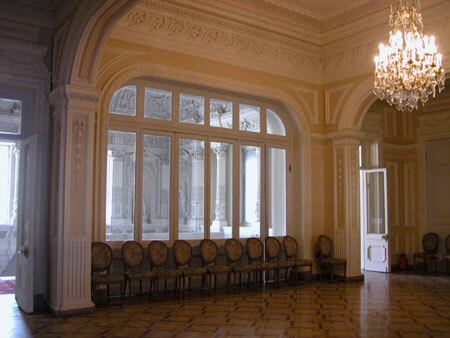 The Yusupov palace is also known as the place where prince Yusupov and his friends killed Rasputin on the night of December 16-17, 1916. By the decree of the Tsar Rasputin's last name was changed to a more neutral Novih. 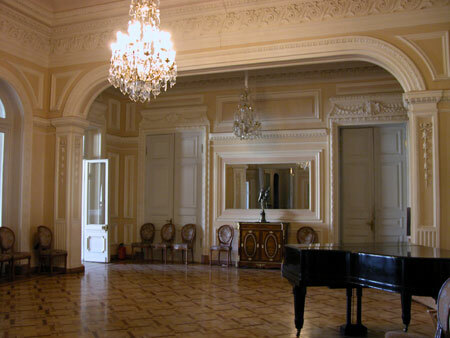 For a short time after the revolution the diplomatic missions of Sweden and Germany were located here. 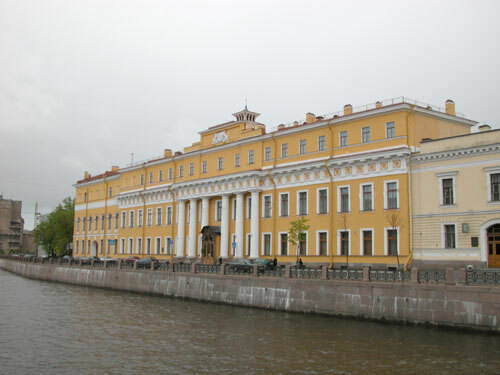 In 1919 the palace was handed over to the Peoples Commissariat of Education, which placed a museum of noble life style here. The same year the Yusupov family forever left Russia. 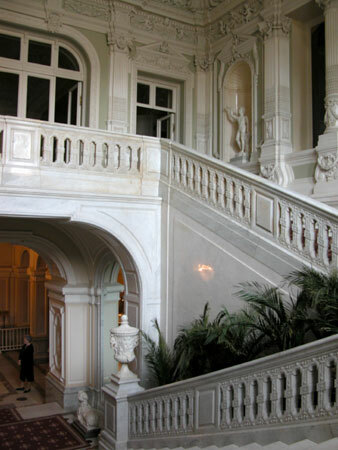 Starting in 1925 the palace became the Teacher House; latter called the Education Culture Palace. 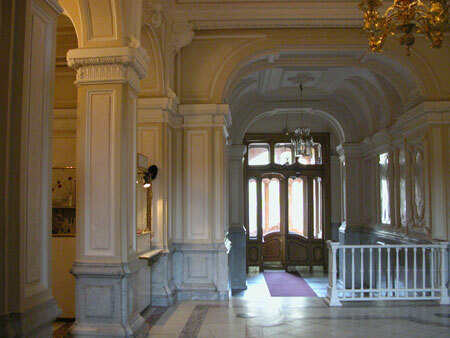 As I understand, it doesn't serve that purpose now, and is simply a museum where guided tours are held. From the street we enter in a vestibule, where we have to wait for the start of a guided tour (having first purchased a ticket). 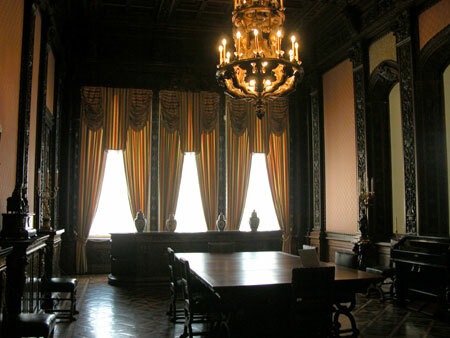 There is also a separate tour, dedicated to the murder of Rasputin (it is only worth taking if you really want to see wax figures in the rooms where the murder was contemplated and carried out : ). 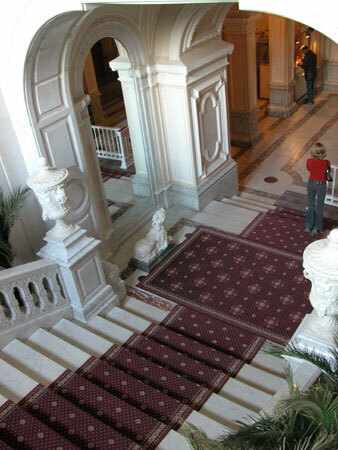 Sphinx figures in front of the staircase. 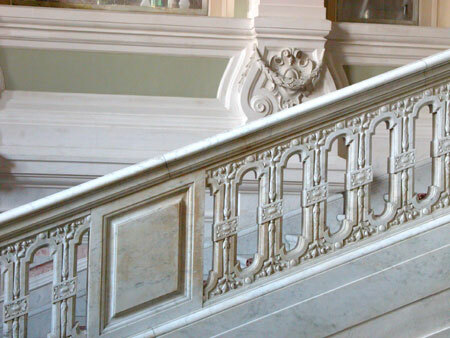 The staircase garnish was designed by A. 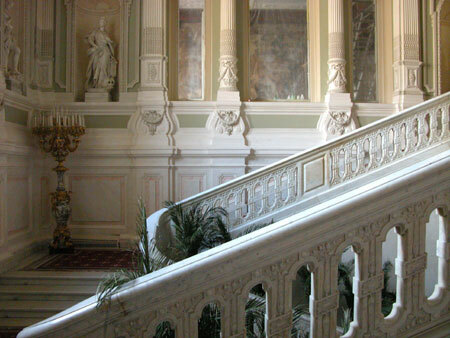 A. Michailov in 1830-s and redesigned in the 1856 - 1860 to give it its present look. 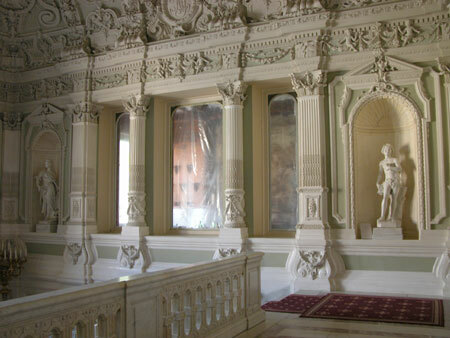 The medium is White Carrara marble. 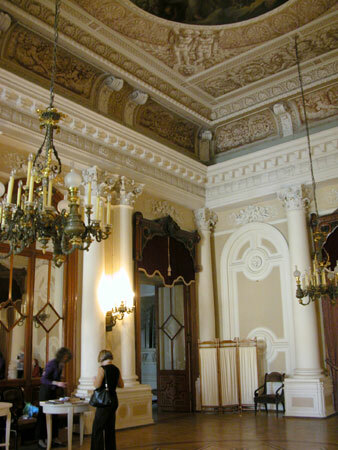 A three-level crystal chandelier should hang here, but it is being restored. 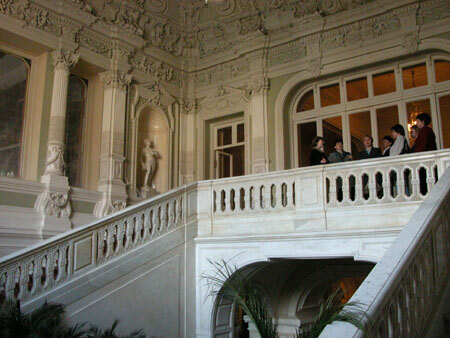 From the grand staircase we enter the Avant hall. 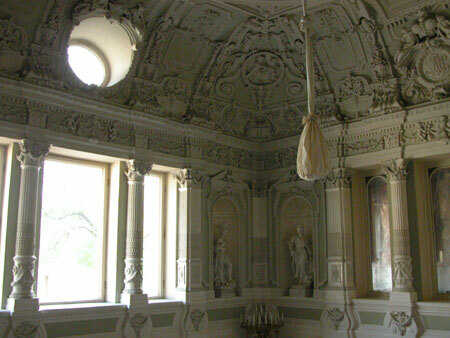 It is designed by Monighetti in 1858 - 1860. Let me be mistaken for an art historian, but these curves seem to be characteristic of more recent modern style buildings. 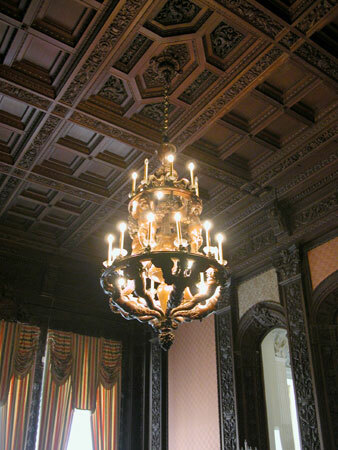 Next to Avant Hall, there is the Oak dining room. 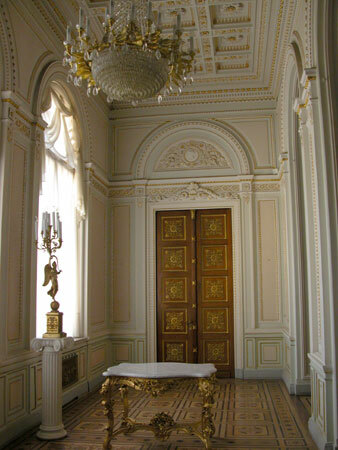 A very beautiful room despite the lack of the abundance of gilt, like in the other rooms. 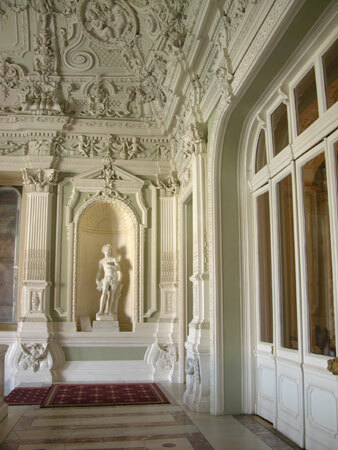 The room is garnished with cut oak. The design is by A. A. Stepanov in the end of the 19th century. Earlier this space housed a winter garden. 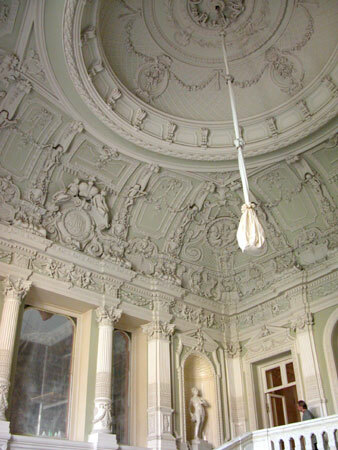 Designed in the 1830's by architect A. A. Michailov. 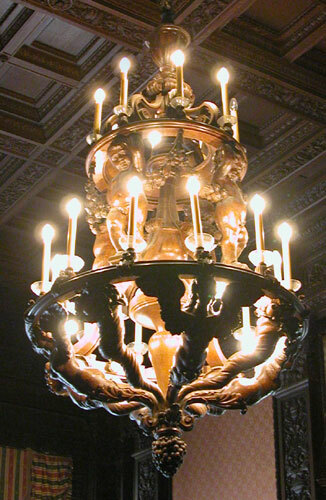 In the 1840's some parts were enhanced by B. Simon. 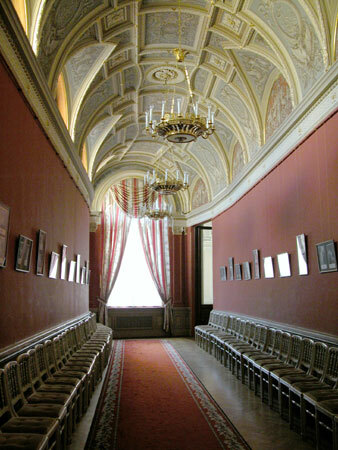 The hall is named after the Italian painter, who was the author of the ceiling fill "Triumph of Hercules". 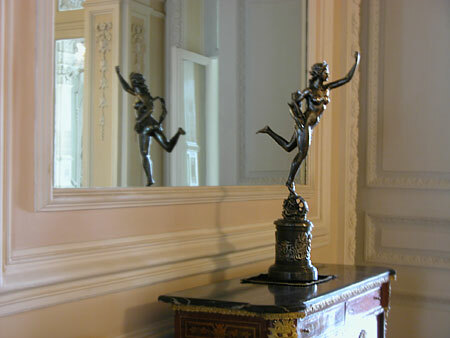 The floors are laid with 12 different strains of precious wood. 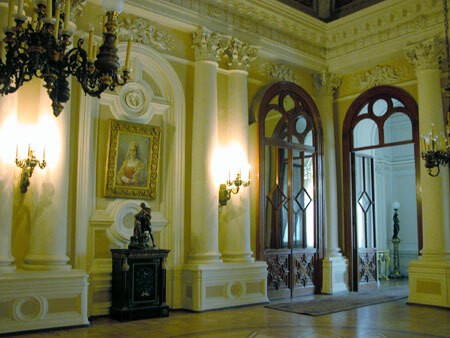 Was created within the same time period, while the palace was being renovated by A. A. Stepanov. 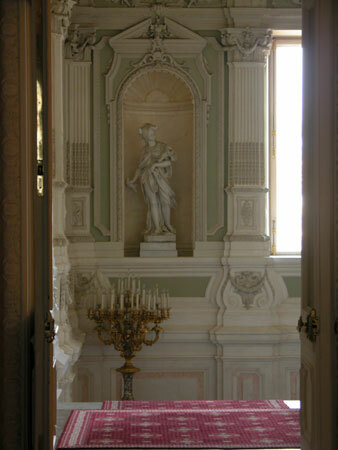 The windows in the walls were filled in, and now the light comes in through the apertures above.